iOS 4 slowing down your 3G/3Gs? How about a Downgrade? 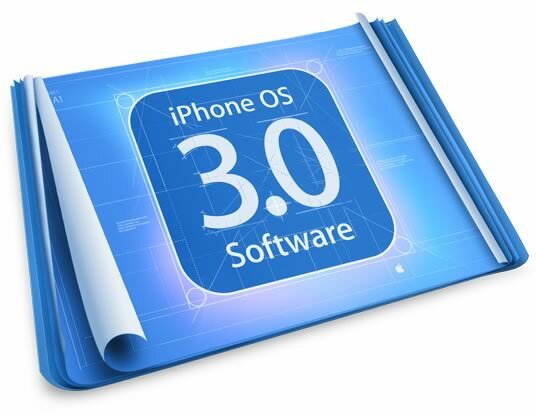 While a lot of people are quite happy with iOS 4 on their iPhone 3G or 3Gs, some are finding that their iDevice seems much slower than it once was. On my iPhone 3G, this was most noticeable when running the iPod app in the background whilst browsing the ‘net or checking emails – the music would skip and stutter as the device struggled to keep everything running smoothly. After a few weeks of frustration, I decided to take the plunge and roll my iPhone 3G back to iOS (or iPhone OS, as it was known at the time) 3.1.3. The speed difference was immediately noticeable, with every app performing much quicker, with load times improving and seamless music no matter what I was doing in the foreground (even PvZ can’t cause audio skips). The process for rolling back your iPhone from iOS 4.0 or 4.0.1 to 3.1.3 is pretty simple, and you should be done in a half an hour or so. Step 1: Get the Prerequisites. Download these two files and put them somewhere easy to find, like on your desktop. RecBoot, a device for pulling your newly restored phone out of recovery mode. As a Windows user, I used this one, which worked perfectly. Time to put our phone into DFU (device firmware update) mode so we can restore the new operating system onto it. Step 3: Restore your iPhone with an older firmware. Ah, the fun part! formatting that flash memory and loading it with some tasty old-school firmware. Your iTunes should now pop up an alert to say that it’s detected a phone in recovery mode. Press Ok to clear the error. Click on your iPhone in the side bar of iTunes. Hold Shift (for Windows) or Opt (for Mac) and click the restore button. A prompt will appear asking where your firmware is. Select the file you downloaded earlier and press Ok. Your iPhone will now restore the older firmware and will reboot afterwards. Step 4: An error appears! Once the restore has finished, an error will appear which says that the phone could not be restored, and your phone will display the “connect to iTunes” screen. Don’t panic – this is perfectly normal, and exactly why we downloaded RecBoot earlier. Essentially your phone is getting “stuck” in DFU mode. We just need to use RecBoot to give it a helping hand. Step 5: Restore your backup. If you made a backup of your phone before you rolled it up to 4.0, then you should still be able to restore all your settings, applications and so on. If you haven’t got a pre-4 backup, then you’re unfortunately stuck. You’ll have to set your device up as a new phone and restore everything manually. Sorry. Step 6: Enjoy iPhone OS 3.1.3! So far I have missed 2 calls due to the iphone unlock not responding. Which iOS are you running, dude?